The human face has 43 densely-grouped muscles that all work together every time you smile, frown, wince, or squint. With age and continuous use of these muscles, the skin over them eventually forms wrinkles and lines that get more pronounced over time. One of the most popular non-surgical ways to address the lines on the face is with Botox injections. Botox is made up of tiny amounts of a highly purified botulinum toxin protein that treats the muscles in the face. It’s primarily used on creases in the forehead and between the eyebrows to erase frown lines and to treat crow’s feet, which is the wrinkles that spread out at the outer corner of the eye. Botox is injected into the muscle and works by briefly paralyzing the skin and smoothing it out in the treated areas. When you have your treatment of Botox in Orlando, you may experience the most common side effect consisting of some temporary bruising around the injection site. Other less common side effects are light sensitivity, headaches, facial pain, nausea, and indigestion. You can expect the results of your Botox injections to take effect anywhere from three to seven days after the procedure; however, how long it’s effective isn’t the same for everyone. The range is anywhere from two to six months, with the average of between three and four months. Gradually, your muscle action will return, and the wrinkles and lines reappear. With repeated treatments, the muscles continue to relax over time and wrinkles become less severe. 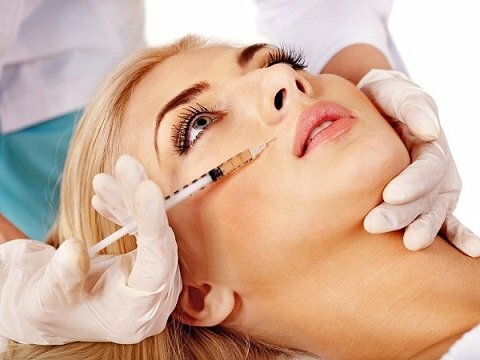 Botox is not limited to cosmetic use; it’s also useful for some medical conditions. Currently, it is approved for use in treating strabismus (cross eyes), and is also found to be effective for other eye disorders like uncontrolled blinking and lazy eye. Others have received Botox treatment for muscle spasms and stiffness, and to address some movement disorders. The medical community continues to find therapeutic value in the use of Botox. The FDA has approved its use for excess underarm sweating and it’s also been shown to be effective in preventing migraine headaches for up to three months. More recently, Botox has been useful in treating severe incontinence. Sometimes, the telltale signs of aging appear a lot sooner than you expect or want, but it doesn’t mean having to settle for a less than optimal appearance. If you’re interested in botox, Orlando has the physicians to help you maintain your youthful appearance. people can look beautiful with the treatment.